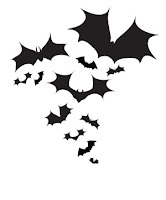 It's that time of the year again when dressing up has never been so much fun! Think creative, creepy, crafty or just outright crazy and share with us your wildest Halloween costume ideas for a chance to WIN over $600 worth of PRIZES!! *People's Choice prize will be awarded to the photo with the greatest amount of "likes". Step 1: Take picture of you or your friends in your most amazing Halloween Costume that features at least one product from welovecolors.com! *If you do not have Facebook then please email your entry to info@welovecolors.com with the subject line "Halloween Contest 2012". Be sure to state your full name, name of We Love Colors item worn and your full contact information in the body of the email. When we receive the message we will upload it for you. You may only upload your image once. Include what We Love Colors product(s) you are wearing in the photo. This worldwide contest is open to all Friends of We Love Colors Facebook Page . 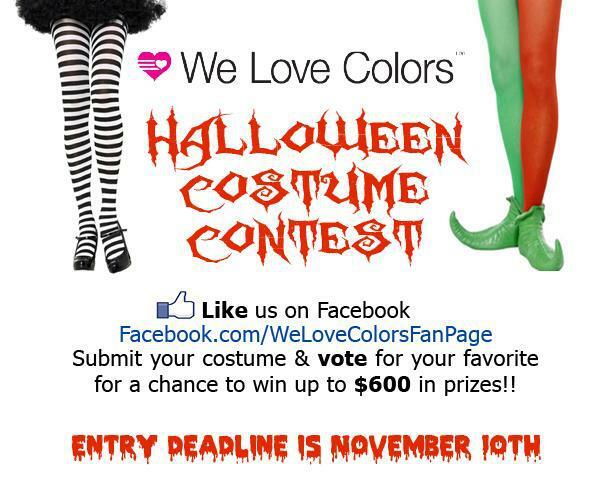 Entries must be Halloween costumes featuring at least ONE product purchased from welovecolors.com. Entries must be from Halloween 2012 and entries submitted to contests in previous years will not be counted. This contest will end on the 10th of November 2012 at MIDNIGHT EST. WINNERS WILL BE ANNOUNCED Wednesday, the 21st of November 2012. Failure to comply with the contest procedures will result in disqualification. To prevent disruption of our contest by spammers, and ensure the competition is played as fairly as possible, We Love Colors reserves the right to disqualify any entry with a notably disproportionate number of votes, once a thorough investigation has been made. Our decision is final. Once photos have been submitted they become the property of We Love Colors and We Love Colors reserves the right to use them.